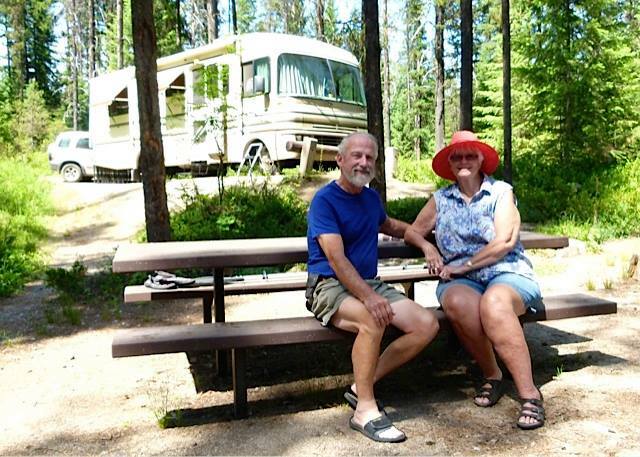 Thom and Dar Hoch rolled into our part of the planet (currently Spokane, Wash.) late yesterday afternoon in their “bus house” on their trek east toward Wisconsin. Our paths have been crossing in various locations around the country since we first met in the autumn of 2009 when we were all seated around a table in a small restaurant just outside Zion National Park in Springdale, Utah. We were introduced by a mutual full-time RV friend, Michael Fousie (an incredible photographer: LightCurve.com) who was camp hosting at Zion. Last night for a welcoming BBQ, we invited friends (and Airstream owners) Mary and Bill Knowles of Spokane. Confusing? Well, it’s not unusual in the RV world that one frequently finds less than six degrees of separation. 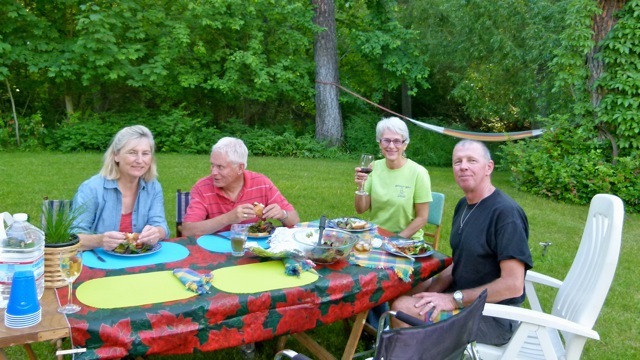 Follow the Hoch’s continuing RV adventure on Thom and Dar’s RV Sabbatical Journey. 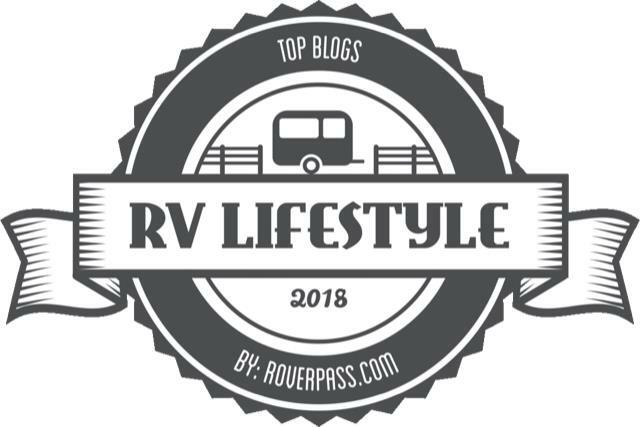 I can only imagine the time intensive task of rebuilding your previous posts while continuing your current RVWheelLife articles. BTW, the new design and navigation is easy on the eyes and brain. Wonderful! So glad you’re online again!! First of all, thank you for sticking with us through this recent rough patch with RVWheelLife.com being ‘lost’ in the cyber clouds. Sounds like your plans are really shaping up. Only in your mid-40s and planning to move into full-time RVing is amazing. We love our little truck camper for short trips, but for full-time RVing, think twice about getting one with a shower and hot water heater. 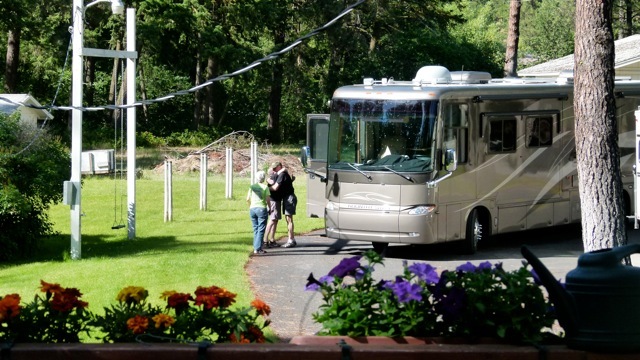 That said, however, we are planning an extended three-month trip with this little rig next spring. Best of luck on your adventures.